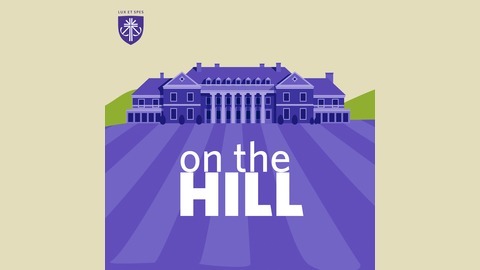 On the Hill is a podcast covering the people, events, and stories of Stonehill College. Brought to you by Stonehill's Communications and Media Relations department. Special thanks to: -Scott Cohen, Director of the Digital Innovation Lab and Associate Professor of English -Melissa Duffy '19, audio recording and editing -Alina Shklyarenko '17, theme music composer. 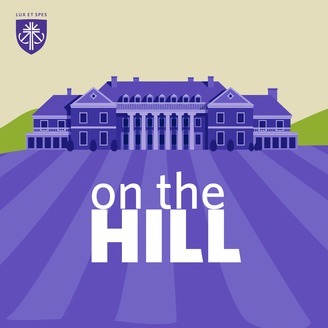 Stonehill alum David Simas '92 joined us for the debut episode of On the Hill. In conversation with Peter Ubertaccio, director of the College's Martin Institute, Simas recalls his time at the College, his journey from Stonehill to the White House, a memorable trip to Portugal with President Obama, and his role in the rollout of the Affordable Care Act (aka Obamacare).